SuperBowl Eats – What Will You Be Making? Who doesn’t like a good bacon weave? Happy FRIDAY, Noshers! Wow. Are you guys excited for the Super Bowl? I admit I’m not the biggest sports person (those that know me would say that’s a HUGE understatement), but if there’s anything I like it’s the excuse to make tons of food. All right, we’re having a teeny tiny party (read – 2 people, 1 dog) but making way too much food runs in my family – just ask my Mom. I figure if there’s once a year when I can make lots of food that I would normally never make, it would be the once a year (more or less) I watch football….right? I was first alerted of the bacon explosion by my friend Jeannine at The Small and Chic Home. I love bacon, stuffed things, and crafts – so this seemed like a no-brainer. The top picture is my completed first step of this recipe – the bacon weave!! This meat-plosion of bacon, sausage, cheese and veggies definitely doesn’t sound like an everyday eat, but a once-a-year indulgence is fine, right? My friend Morgan from The Handcrafted Life brought my attention to this pepperoni pizza cheese ball – I mean look at it! I’m simultaneously intrigued and intimidated by this. I was pretty disappointed when I couldn’t find mini pepperonis at my grocery store, so the regular stuff will have to do. 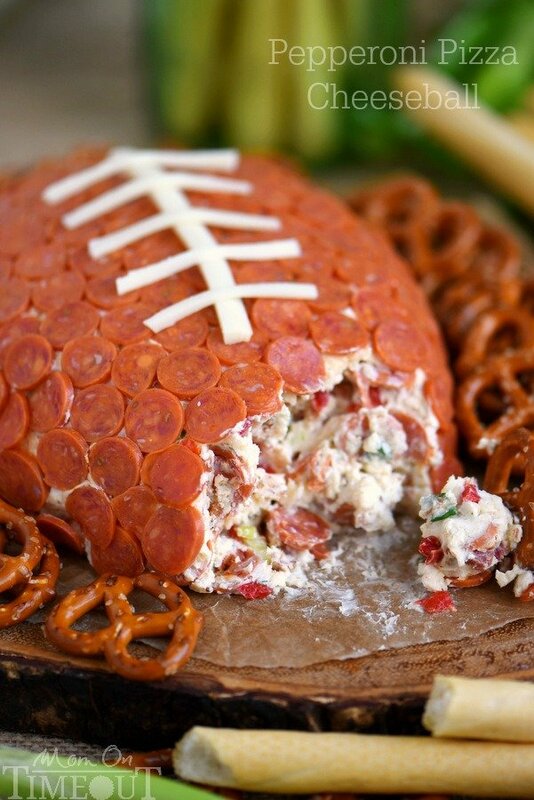 I hope it still looks like a football despite the non-mini-pepperoni substitute. Ha! The immature part of me giggles at the name of this dish, as it reminds me of one of my more favorite SNL skits. Additionally, I’m super curious about the use of grape jelly as one of the main ingredients. How does that even work?? But with three ingredients and the use of a slow cooker, I’m sold. I admit I was completely sold on this dip because of the name. I mean – that’s quite a name to live up to, isn’t it? I’m subbing in fat-free Greek yogurt for the sour cream to make it a little healthier. Mmm. I’ll probably use my own cake and frosting recipe for this (and maybe put some surprise filling in there too! ), but I definitely think these are super cute. 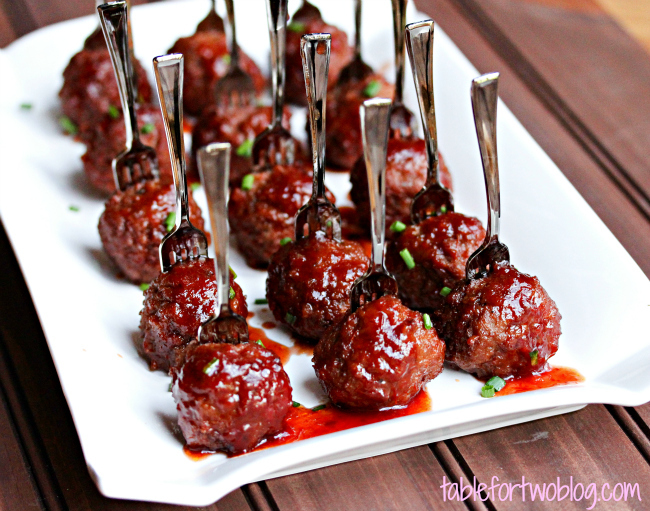 And if they don’t look exactly like footballs, well – I’ll eat them anyway. Yes, I’m willing to do that. So what do you think? Is that enough food for two people and a dog?? 😛 Or will I be seeing some of you on Sunday? What will you be making for Super Bowl Sunday? Le Creuset Valentine’s Day GIVEAWAY! The bacon weave looks incredible. You can get the mini pepperonis at Target! What an amazing spread! I’ll be drawing inspiration from your dessert to make football cupcakes. For savories, we’ll be having Chinese sausage fried rice, chili in mini bread bowls (a new favorite from the last snow storm), & avocado toast! 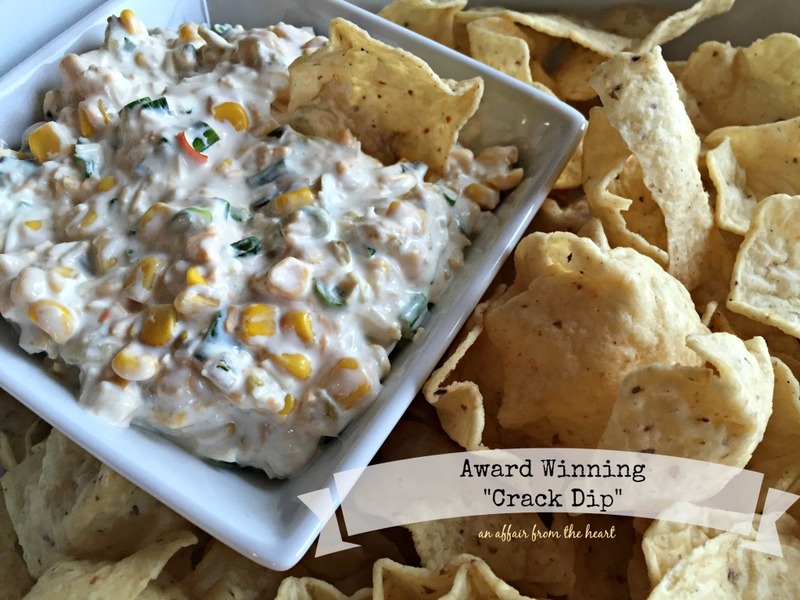 Thanks for including my crack dip in your Super Bowl Eats recipes!! That is truly one of my most popular recipes on my site! EVERYONE loves it!